The Chicago Blackhawks won their third Stanley Cup trophy in the last three years when they beat the Lightning 2-0 in last night’s Game 6 in Chicago. Tampa Bay did not lose three straight games all season but ended their Stanley Cup hopes after losing their final three games of the series. What was once a 2-1 series lead for the Lightning turned into a 4-2 series win for the Blackhawks. A Tampa Bay team that lead the league in goals per game at three only scored two goals in the final three games of the Stanley Cup while allowing the Blackhawks to score six. Duncan Keith added to his Conn Smythe campaign as he broke the scoreless tie in the 2nd Period at 17:13. Patrick Kane scored his first goal of the Stanley Cup at 16:21 which sealed the game for the Blackhawks. 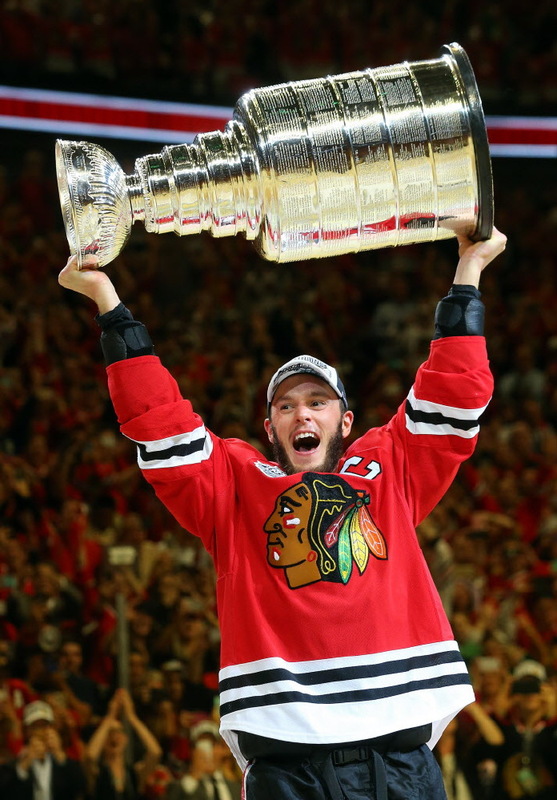 Winning their third Cup in only six years solidified the Blackhawks as the next modern sports dynasty. Duncan Keith’s 715:37 minutes of playoff ice time and 21 postseason points won the defenseman the Conn Smythe Trophy for playoff MVP. As always in hockey, when the playoffs end, the injuries that players dealt with over the course of the playoffs are announced. The mystery of the Ben Bishop situation was finally answered when Bishop announced after the game he suffered a torn groin during Game 2 of the series which was the cause of him leaving, entering, and leaving the game again. It was also announced that Tyler Johnson, the leading scorer of the playoffs with 13 goal and 10 assists, suffered a broken wrist earlier in the series which is why he was taken off faceoff duties during the series. Tampa Bay is a young team with plenty of cap salary space and only two unrestricted free agents, so they will able to keep this young team together for the years to come.